Alarm sensors are attached to a monitoring device with an audible alarm to notify caregivers. They are used to monitor at risk patients who are subject to wandering or fall injuries. This manufacturer makes several sensors to monitor patient transitions. These monitors are compatible with many of the different style alarm systems, including the popular KeepSafe Deluxe, KeepSafe Essential, and the Sitter Elite. These styles include an infrared detection sensor, mattress pad sensors, wheelchair pad sensors, wheelchair safety belt sensors, and a toilet sensor. There are different models available to meet both patient and caregiver needs. All of these fall management sensors are designed to work with a Posey alarm or monitoring device. Below is a list of each of the options and a brief product summary. 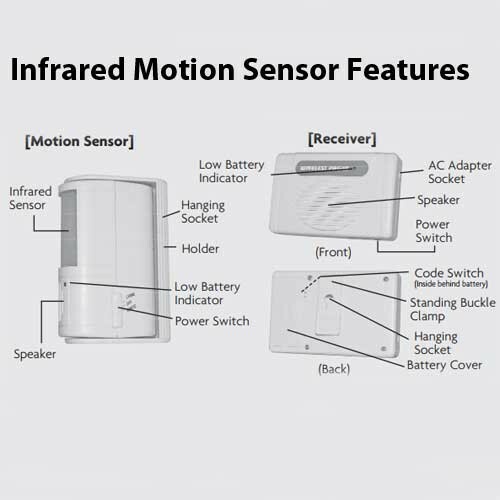 Wireless Infrared Monitor includes the motion sensor and a receiver. The monitor can be hung from doorways with ease, while the receiver can be hung on a wall or worn on a belt. This makes it perfect for hospitals, care centers or homecare. This product alerts medical workers and caregivers of any movement in it's range of detection. The alarm receiver has a range of up to 100 feet depending on building construction. It features different notification settings and can be set to "chime" at local alarm or can send a remote signal to the receiver. 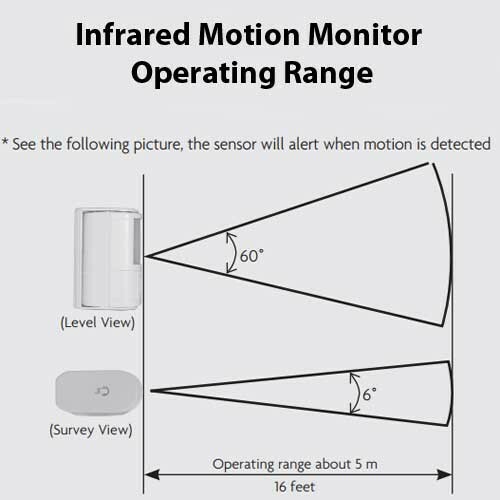 Detects motion by a bed or door. Chime or remote signal options. Sensor Angle Depth: 6 degrees width and 60 degrees height. Range of up to 16 Feet. Low Battery Indicator on Both Detector and Receiver. Uses one 9-Volt Battery (not included). This sensor pad fits wheelchairs and other patient chairs. It is compatible with most of this manufacturer's fall alarms. The Chair Sensor Pad measures 13"W x 13"L (33 cm x 33 cm). 8308 is a 6-month sensor pad. 8308 is for use with a single patient. Size: 13 x 13 Inch. Works with wheelchair, geri-chair or other seating use. Clean with disinfectant dampened cloth. Compatible with the KeepSafe® Deluxe, Posey KeepSafe® Essential, Sitter Elite® and Sitter Select® alarms. This pressure sensor pad is designed for wheelchairs geri-chairs and other patient seating devices. It is compatible with most of this manufacturer's alarms. The chair pressure sensor pad measures 13 inches wide by 13 inches in length or 33 cm x 33 cm. The 8308 sensor has a 30-day product life. It is for use with a single patient. Compatible with the KeepSafe® Deluxe, KeepSafe® Essential, Sitter Elite® and Sitter Select® alarms. The Mobile Chair Belt is a safety seat belt with a cable the attaches to an alarm monitor and serves as a pre fall detection sensor. 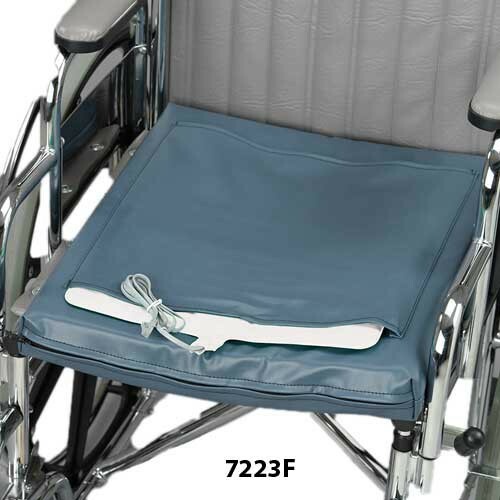 Its dual purpose to keep the patient from slipping or falling out of the chair and to notify caregivers when the patients attempts to transition away from the chair. This sensor belt comes with a D-ring attachment for easy connection to a wheelchair frame. Easily attaches or detaches to wheelchair frame. Seat belt safety design with quick lock and unlock action. Secures patient from slipping or falling out of the wheelchair. Triggers alarm monitor when patient attempts to leave the wheelchair. Compatible with the Posey KeepSafe® Deluxe, KeepSafe®, Sitter Elite® and Sitter Select® alarms. 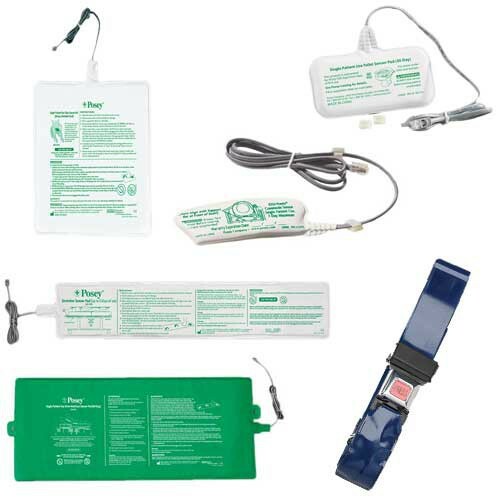 The Hook and Loop Chair Belt is also a dual purpose patient safety belt and monitoring device. It uses D-ring attachment for securing the belt to the chair frame, The safety belt uses a hook and loop closure on the strap ends for fastening the belt together. It uses conductive fabric as the switch mechanism. When the conductivity is broken, the sensor sends a signal to a monitoring device. This sensor belt can easily be transferred to another chair. Size: 31 to 44 Inch. Color: Blue with Yellow and White. Easy to use hook and loop closure. 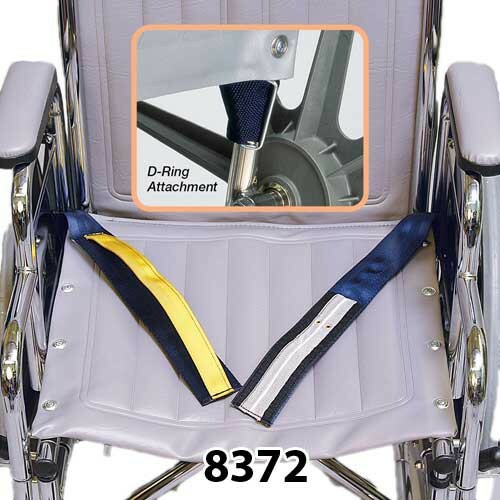 Dual purpose belt for patient monitoring and to prevent patient falling or slipping off of the wheelchair. This Hook and Loop Chair Belt is similar to the belt described above except that it accommodates larger sized patients. Size: Up to 115 Inch. Dual purpose with patient monitoring and safety.. Compatible with the KeepSafe® Deluxe, KeepSafe®, Sitter Elite® and Sitter Select® alarms. Bathroom Toilet Alarm Sensor is a Safety Alarm Sensor for use on toilets to notify caregivers that a fall management patient needs assistance. The Toilet Seat Alarm Sensor is compatible with the KeepSafe® Deluxe Monitor Alarm, KeepSafe® , Sitter Elite™ and the Sitter Select™. Product Life: 30-days from date of first use. 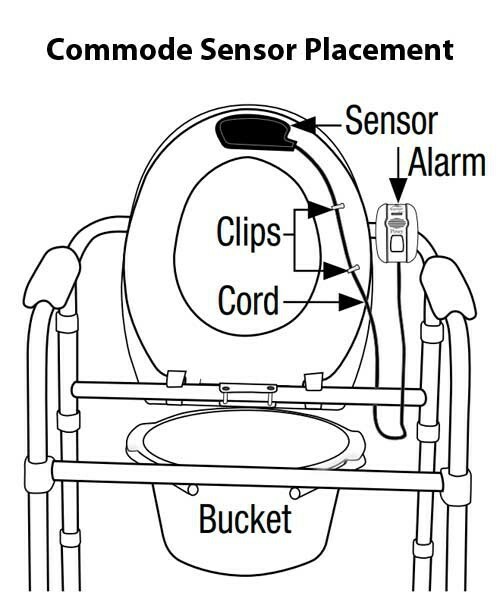 The Commode Sensor is used to detect when at-risk patients for fall injuries are leaving the commode, signaling that the patient requires caregiver assistance. This device is used on a commode when the patient is not utilizing an in-room toilet device. The Commode Seat Sensor helps to guard against CMS "never events." Used to notify caregivers when patient needs assistance. Product Life: 7-days from date of first use. The Over-Mattress Sensor Pad is used to detect patients exiting their bed who are under fall management care. 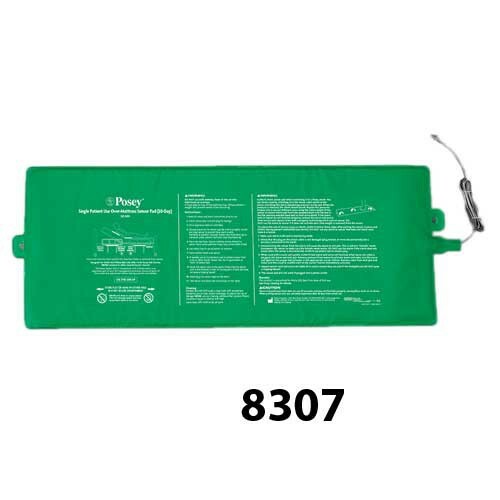 The absence of the patient's body weight on the bed pressure sensor pad activates the alarm, warning the caregiver of impending danger to the patient. The mattress pad sensor is placed over the mattress and beneath the patient. Pad Size: 13 x 31 Inch. Compatible with Sitter Elite®, KeepSafe® Deluxe, KeepSafe® and Sitter Select® Alarms. This bed sensor pad is used on top of the mattress and under the patient. It detects fall management patients who are attempting to exit their bed and notifies caregivers for assistance. Removing the patient's body weight from the bed occupancy sensor pad activates the alarm to warn caregivers of the patient's activity. 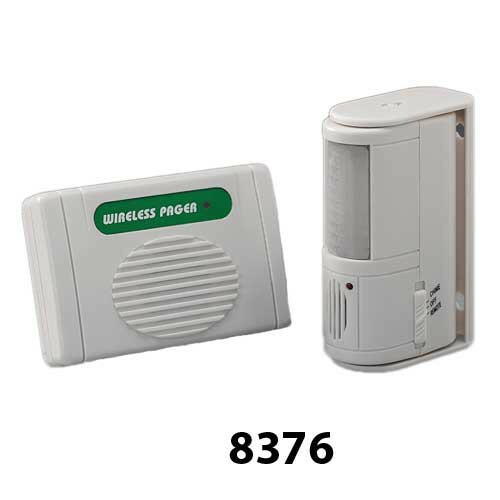 Posey 8376 Wireless Infrared Motion Detector User Guide provides information about the use of this monitoring device. 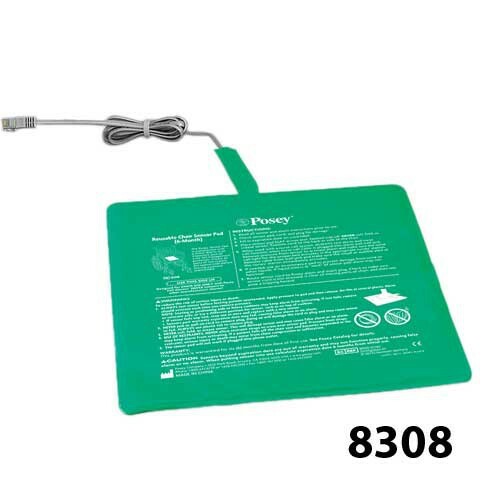 Posey 8308 Chair Pad User Guide offers user instructions regarding the use and care of this chair pad monitoring device. 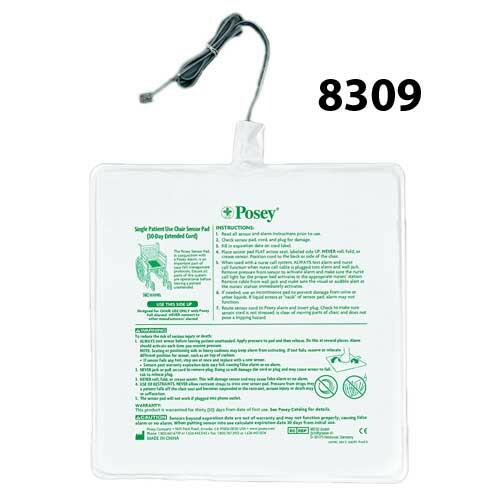 Posey 8309 Chair Pad Alarm Sensor User Guide provides user instructions regarding the use and care of this monitoring pad. 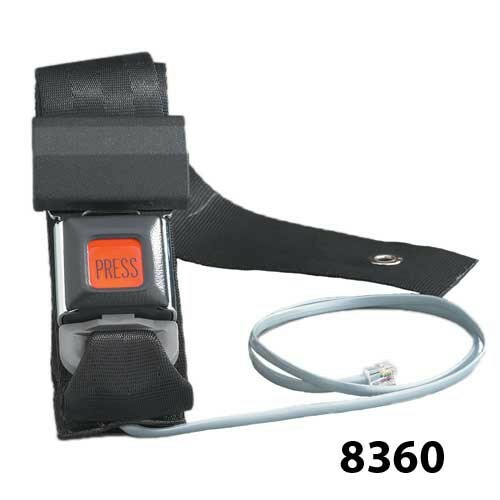 Posey 8371 and 8372 Chair Belt Fall Protection User Guide provides information about the use of these monitoring devices. 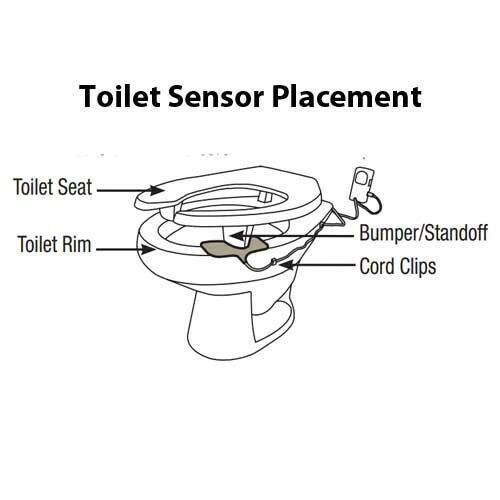 Posey 8332 Toilet Sensor User Guide provides use instructions for this fall management monitoring device. 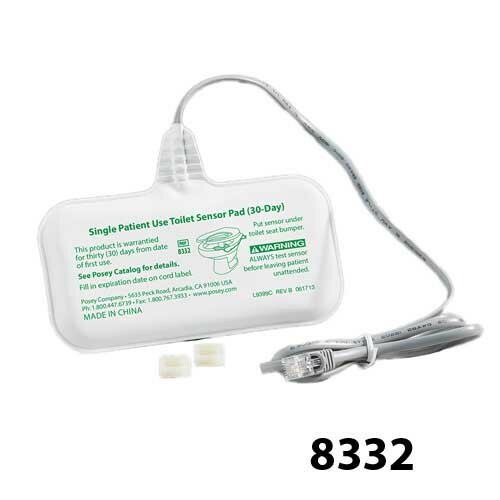 Posey 8333 Commode Sensor Pad User Guide contains details for the use of this bathroom monitor. 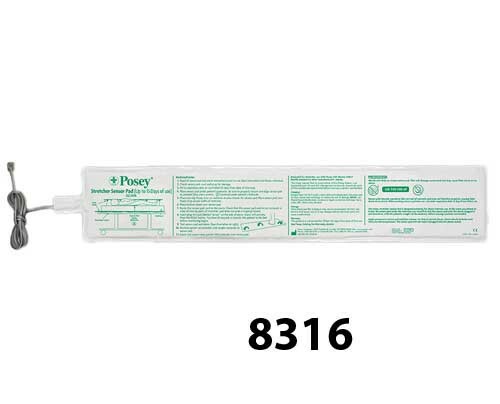 Posey 8383 Mattress Pad Sensor User Guide details the use of this bed monitoring device. 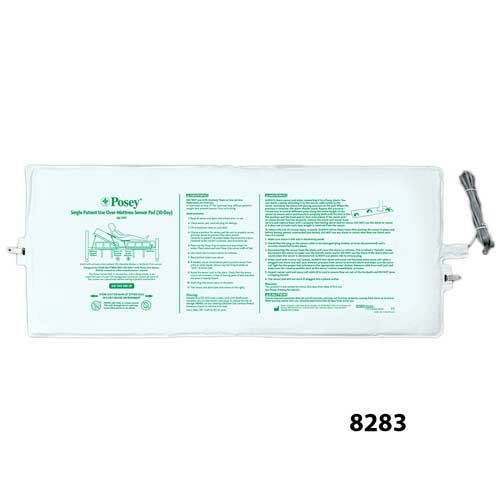 Posey 8307 Mattress Pad Monitory User Guide provides information about the use and care of this monitoring device.